Serving Fresno, Clovis, and surrounding communities. Installing a new air conditioner is not as simple as running out to the store, throwing it in the back of your car, hauling it inside, and plugging it in. No, installing a new air conditioner is a process, and like any process, a certain level of planning is needed before any final decisions are made. Of course, AC installation in Fresno, CA requires the hands of a trained HVAC professional, however, we have decided to give you a bit of a head start. Below, you will find our guide to installing a new air conditioner in your home. With summer coming up, owning a great AC should be at the top of your priority list, so if you are in the market for a new one, keep reading below! It’s Old: Although built to last, the average lifespan of an air conditioner is anywhere between 10-15 years. Older systems are simply not going to be as efficient as newer models. So if your system has aged beyond this average life expectancy, it might be best to consider a replacement. It Requires Frequent Repair: Your AC should not require more than just a couple of repairs every few years. 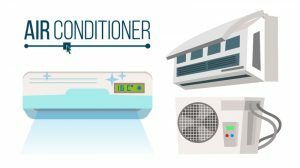 As a rule of thumb, if you are paying 50% or more the cost of a new air conditioner on repairs, then it is better to just replace the system entirely. Your Energy Bills are Higher: If you’ve noticed that you are paying more and more each month for energy, then it might just be that your AC is worn out and inefficient. A professional can help you determine which system is going to best meet your household’s unique cooling demands. The last step in installing a new air conditioner is ensuring that it is the right fit! This means ensuring that the system produces the right amount of energy output for your household’s needs, not the amount of space the system will take up (though that is important). It is important that your new AC is neither too large or too small if you wish to avoid inefficiency. Once the new system has been properly sized by a professional, it must be installed. An HVAC expert will be able to ensure that the system is installed so that it is set up for a long and successful service life. For all your air conditioning needs, contact the team at California Indoor Comfort Inc.
© 2016–2019 California Indoor Comfort Inc. All rights reserved.